Netflix was a pioneer in the early days of streaming video. 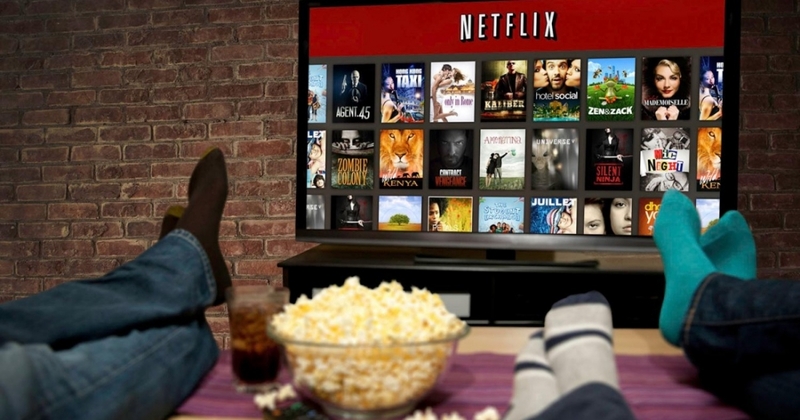 After dropping a bomb on the traditional video rental industry in the first half of the 2000s, Netflix has spent the last decade forging a streaming business model that is loved by its customers (but has also served as a blueprint for the competition). Competition is typically seen as a good thing for consumers but that’s not always true. In the streaming industry, companies like Amazon and Hulu are vying for the same licensing contracts as Netflix. This means that A) Netflix will have to pay more to license content, B) it’s not going to win every contract and C) some customers will inevitably jump ship to a competitor, resulting in less revenue coming in. There are a couple of possible ways to handle the situation – raise membership rates or introduce ads –neither of which are great options for the consumer. But that begs the question, which of the two options would you rather have if you had to choose. That’s the very question that AllFlicks recently asked of more than 1,200 people on Reddit: would you rather pay more for Netflix or see advertisements while you stream? Incredibly enough, 90 percent of respondents said they would rather pay more per month than have to sit though ads. Those that said they’d rather pay more were asked how much more they’d be willing to part with each month. The overwhelming majority said they’d be willing to pay between $1 and $2 more to continue to receive an ad-free experience. Just over 20 percent said they’d spend up to $3 more while around 15 percent said they’d drop an additional $4 or more to keep ads at bay. When asked if the introduction of ads would drive them away from Netflix, a staggering 74 percent said they would cancel their subscription if the company introduced advertisements. While Reddit isn’t the most scientific of venues to host a poll for a multitude of reasons, the numbers speak for themselves. As AllFlicks notes, the results likely gel with Netflix’s own internal findings which is why we haven’t yet seen ads make their debut. It’s highly unlikely that three out of four users would actually leave if ads were introduced but if even just a fraction of them did follow through with their threat, the impact would be tremendous. That said, we’d like to hear your opinion on the matter. If you’re a current Netflix subscriber, would you consider canceling your subscription if ads were introduced? Also, how much additional per month would you be willing to fork over to keep Netflix ad-free? Chime in with your thoughts in the comments section below!